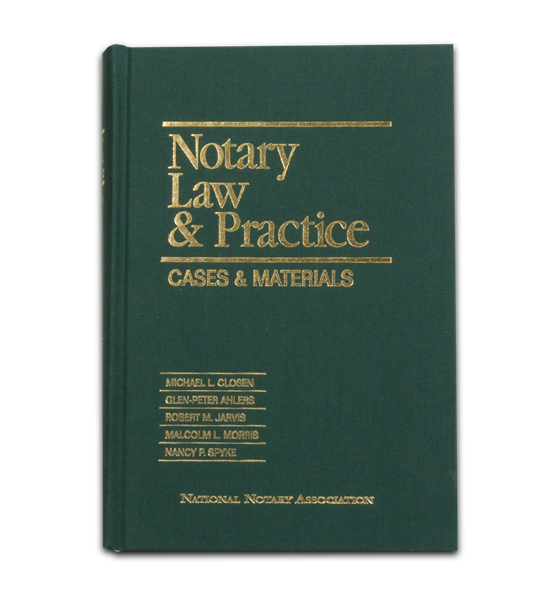 Case, law, and subject indexed for all you need to know about Notaries and the unauthorized practice of law. The legal guide on Notary principles, statutes and case law. Here's the authoritative legal text on what constitutes the "unauthorized practice of law" for Notaries — a pitfall that can lead to lawsuits against Notaries and their employers. Through case law, statutes and published works, you'll understand precisely what is acceptable and what is not. Authorized for the NNA by five noted attorneys and law school professors. Includes the "Uniform Law on Notarial Acts" and "The Notary Public Code of Professional Responsibility." Indexed three ways for easy reference: by case, by law and by subject.